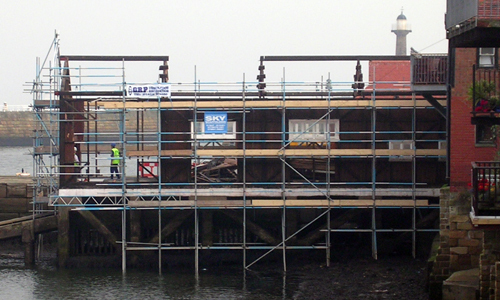 Welcome to the second of seven gallery pages which cover the removal of the lifeboat station and its eventual replacement. 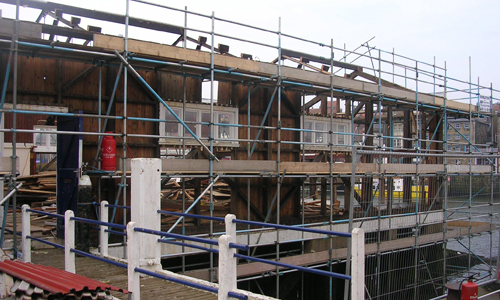 As the internal fittings were being removed work continued outside to cover the building in scaffolding so that the external sheeting could be removed. 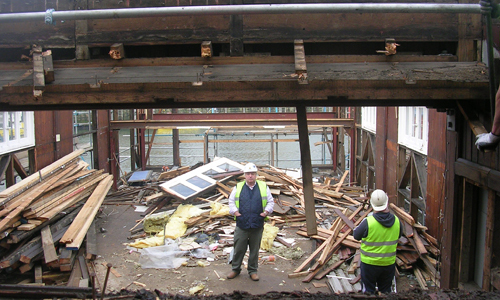 This was the first major task for the builders. It didn't seem to take long for the sheeting to be removed and the building seemed so bare, so sad without it. 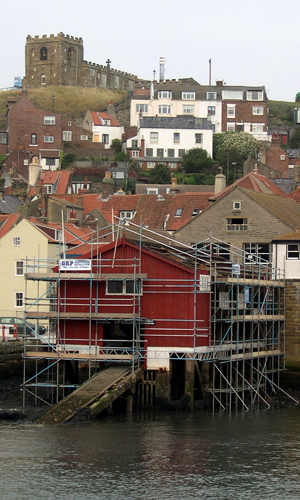 The replacement of the building proved to be an ideal project for me I was, living in Whitby it was not difficult for me to be in the area from time to time in order to document the progress of the work. 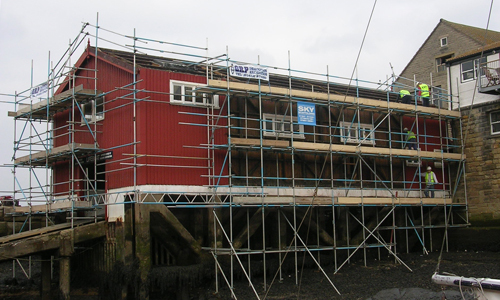 The building covered in scaffolding looks so strange without its distinctive red metal sheeting, once removed the building looked forlornly almost as if it craved removal. 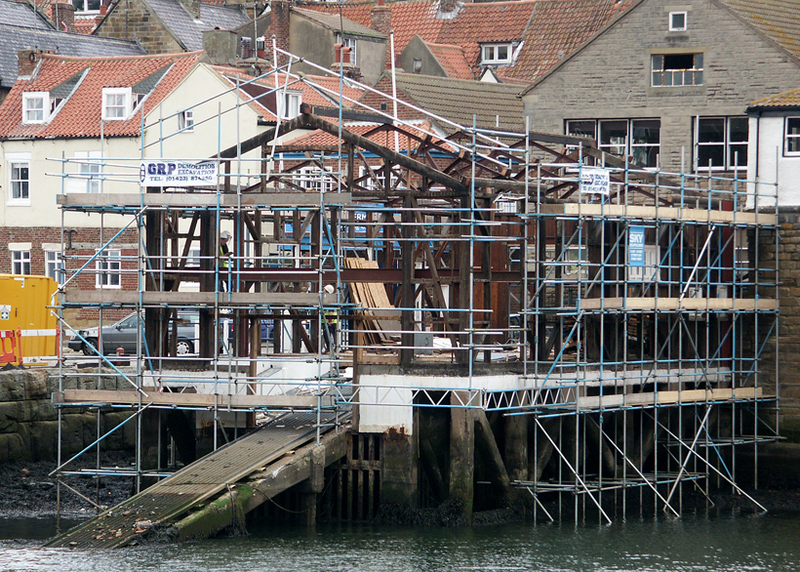 During my time as a trustee of the Whitby Historic Lifeboat Trust we were told that some of the wood removed from the old building might prove useful for recycling in the restoration of the former Whitby lifeboat William Riley, if indeed it were it would be nice to know it still lives on in some form. The following buttons link to the other gallery pages.